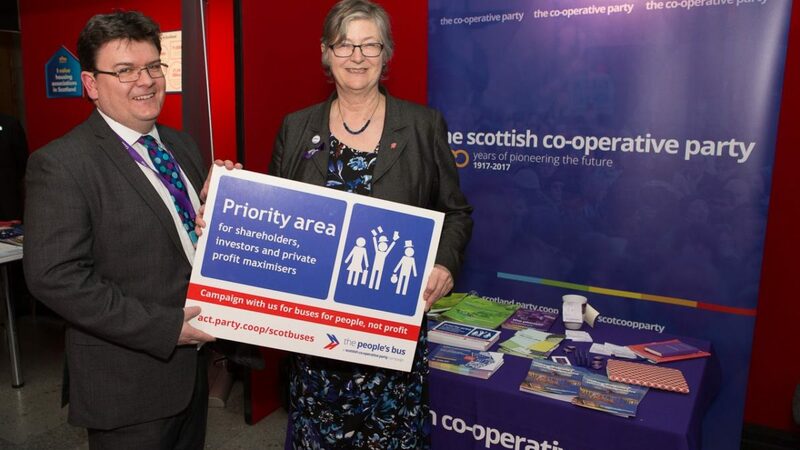 In recent weeks, the Scottish Parliament has been debating buses, and last week Co-operative MSPs Claudia Beamish MSP along with Labour colleagues Colin Smyth MSP and Iain Gray MSP made the case for buses run in the interests of people, not merely profit. During the debate the Minister, Humza Yousaf MSP, announced that the long-awaited Transport Bill will be published before the Scottish Parliament’s summer recess at the end of June. The Scottish Co-operative Party is looking forward to making the case for the People’s Bus through the legislative process and we hope to help deliver buses that are run in the interests of people not just of profit. Most public transport journeys in Scotland are by bus but the number of bus journeys is going down at the same time as fares are increasing. Action is required to halt this decline. We want to see a bus industry where regulation provides better terms and conditions for workers and where councils have much more influence over the industry. We also want to empower bus users to have much more say over where buses go and when they go there. We support re-regulation of the bus industry. We look forward to working with organisations such as Unite the Union and their ‘Haud the Bus’ campaign and with SERA Scotland to promote the environmental case for better buses. We look forward to promoting our People’s Bus campaign.